Several new books on the topic of market-based instruments for nature conservation were recently published (or will soon be). Expect so see reviews here soon. The first book is by Royal Gardner, a law specialist, who has worked on wetland mitigation in the USA. 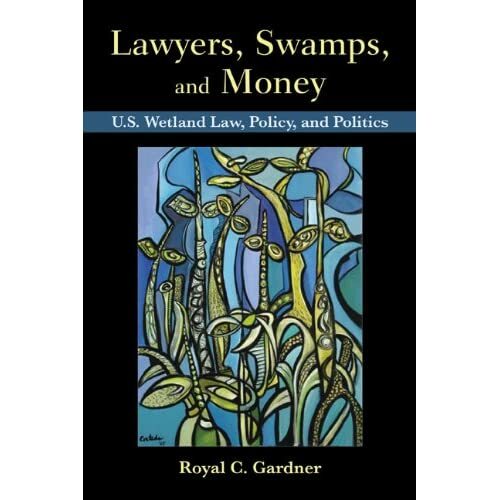 Entitled Lawyers, Swamps, and Money: U.S. Wetland Law, Policy, and Politics the book provides an in-depth look into the inner workings of the wetland mitigation “industry” and especially its governance. You can take a look on Amazon. Her next book (with Josh Lipton and David Chapman, forthcoming in 2011 by Springer) will be on the use of resource equivalency (including economic valuation) methods for assessing environmental damage and liability and selecting the appropriate compensation measures. This will help implement European Directives of Habitats, Wild Birds and Environmental Liability as well as input to new policy instruments like biodiversity offsetting, payments for ecosystem services and habitat banking. According to Open Trolley, the expected publication date is September 29th, with the title “Equivalency Methods for Environmental Liability in the European Union: Assessing Damage and Compensation Under the Environmental Liability Directive”. Most of the contents probably reflect EFTEC’s work as part of the EU funded REMEDE project which provides lots of interesting insights. If you haven’t read it yet, you can still have a look at Carroll, Fox and Bayon’s book on conservation and biodiversity banking published by EarthScan.